Describing the full trailer for The Handmaid’s Tale season two as “bleak” would be a huge understatement. Look, we weren’t expecting things to really turn around for Offred (Elisabeth Moss), who was shuttled off to some unknown destination at the end of season one. But, as the clip shows, the leaders of Gilead have not yet begun to dismantle the Resistance. 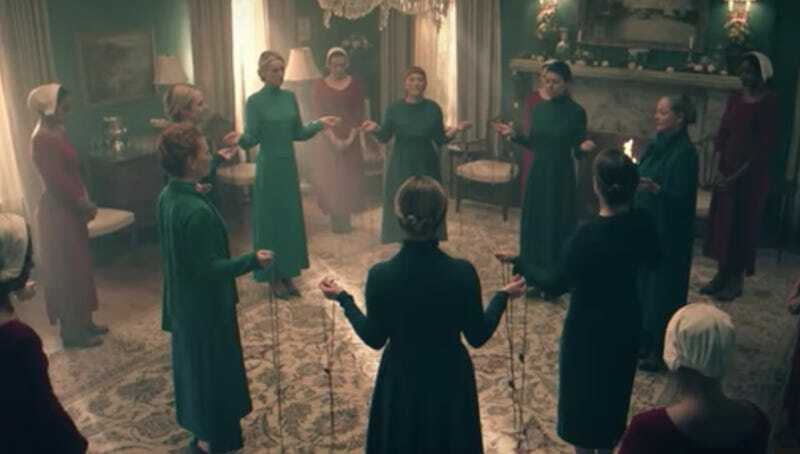 Widespread fear, mass hangings, arduous labor in the colonies are what’s in store for handmaids including Ofglen (Alexis Bledel) and Janine (Madeline Brewer). But all is not lost. Moira (Samira Wiley) is still raging against theocratic tyranny (and gets a love interest, woo), while Luke (O-T Fagbenle) keeps hope alive that he’ll be reunited with June and their daughter. And despite all that atrocities that come before it, June reclaiming her full name is as good a rallying cry as any. The Handmaid’s Tale returns to Hulu with a two-episode premiere on April 25.